What Can Australia Learn from the Christchurch Rebuild? When disasters strike, engineering and leadership challenges involved in conducting emergency repairs and undertaking subsequent rebuilding can be significant. When a massive earthquake hit Christchurch in February 2011, however, these were taken to another level. The quake, which measured 6.3 on the Richter scale, killed 185 people, damaged more than 100,000 homes and caused around 70 per cent of the structures within the CBD east of the Avon River to have to be knocked down. It was one of around 16,000 such quakes to hit the region over a 16-month period. As expected, not all was plain sailing. In July 2013, Christchurch City Council was stripped of its power to issue building consents over concerns about the quality control associated with its consenting processes, only re-gaining accreditation last year. What was seen as an excessively slow rebuilding process was slammed by owners of property in the city’s centre, who complained of the city being locked up for too long. While the majority of residents had a positive experience with regard to their insurance, a significant number did not, and there were cases in which insurers dithered and remedial work performed under insurance arrangements was sloppy. Yet almost five years on, a large scale exodus of population and/or capital has not happened, the city now has almost as many shops, cafés and pubs as was the case before the earthquake hit, and the rebuild has for the most part been a success. Now is a good time to look at some of the critical lessons learned from the earthquake and rebuilding process. Broadly speaking, these fall into two categories: technical lessons associated with building and engineering specifically and broader leadership lessons. At the outset, it must be acknowledged that the magnitude of the quake was much greater than that envisaged by all design criteria in place at the time. With that in mind, the performance of buildings and infrastructure during the earthquake was mixed. At the extreme end, catastrophic loss of life was caused by the collapse of the six-storey Canterbury Television (CTV) building (115 casualties) and the four-storey Pyne Gould Building (18 casualties). The CTV building was subsequently found by a government report to have been constructed of weak columns and concrete which did not meet standards as specified under the New Zealand Building Code at the time of its construction in 1986. In addition, more than 2,000 buildings had to be pulled down. In sewerage, the Christchurch Wastewater Treatment Plant was badly impacted, while around 528 kilometres of pipe was damaged. Cracking in pipe walls which allowed other liquids to seep into buildings saw some cases of residents arriving at hospitals with gastrointestinal illness. In some cases, pipes collapsed or broke apart. Apart from that, however, the city’s power system was fully restored within hours, roads generally held up well and the airport was largely unscathed. While the number of buildings irreparably damaged was large, overseas experts were amazed at how well others had stood up, according to Canterbury Earthquake Recovery Authority deputy chief executive implementation CERA Baden Ewart. Perhaps one of the most important lessons learned as far as the initial recovery effort is concerned – though not strictly a building and engineering lesson specifically – revolved around the need to take courageous decisions which may prove to be unpopular, Ewart said. After the quake hit, an immediate priority revolved around the need to verify and shore up the structural integrity or otherwise of critical buildings and infrastructure, first in the city’s centre and subsequently in the suburbs. In order to do that, the CBD was effectively shut down and closed off while engineers went building to building performing initial visual inspections and subsequently more invasive inspections. This proved to be unpopular, but it ensured that residents were not going to work in buildings which remained standing but were damaged by the quake and were thus structurally unsafe. This was a particularly important consideration as structural damage to many buildings did not become apparent until interior linings were removed and reinforcing steel examined. The closure also allowed for the entire area to be transformed into a work site, demolitions to be conducted in a safe manner and waste to be managed so as to avoid large piles of rubbish being strewn all over streets and ending up contaminating water supplies. Prior to starting any rebuild, it is also important to pause and reflect not only on how the city should function once rebuilt but also how it can be rebuilt to function more effectively, Ewart said. In Christchurch’s case, the CBD remained closed until a new city blueprint had been prepared. Because of this work, the rebuilt city will be more compact and friendly to pedestrians and cyclists, while a dramatic simplification of the city’s planning code is allowing for innovation to flourish in terms of new building architecture. The extent of damage to the sewer system, too, demonstrates the importance of keeping aging infrastructure in good working order, Christchurch chief resilience officer Mike Gilooly said, noting that most of the damage largely reflected the shallowness of the earthquake depth and the pipes being buried relatively deep in the ground. Perhaps the most important observations and lessons, however, revolve around efforts being made to build stronger with greater resilience. Notwithstanding the fact that Christchurch already had one of the most stringent building codes in the world prior to the quake, considerable effort is being made to strengthen regulations. At a national level, a strategy was announced in 2013 that requires the seismic testing of all non-residential and multi-residential buildings within five years. All buildings deemed to be earthquake prone were to be placed on a register and strengthened or demolished within 20 years, though the scope and time frames associated with these requirements have since been wound back. 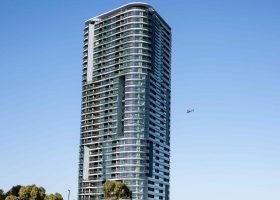 At a localised level, the Building Code has been amended to raise the ‘Z’ factor associated with the acceptable solution that relates to the structural design for the Canterbury region. This made it a requirement to increase the strength of new buildings within the region to withstand earthquakes to a greater degree. Second, Christchurch City Council director of building control Peter Sparrow said the performance based nature of the Building Code has allowed for a flourishing of innovative solutions. Steel-based construction has become more extensive, while base isolation and dampening has become commonplace for critical and high value buildings. Residential areas, meanwhile, have seen more robust designs for foundations and a broad focus upon reparability rather than replacement. 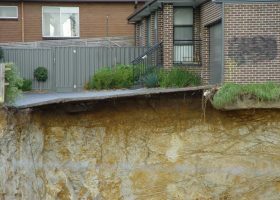 In those residential areas where liquefaction was severe, ground stabilisation and strengthening using methods that have been used in road infrastructure are being used to stabilise and strengthen the ground. In water-based infrastructure, too, significant portions of pressure sewers and vacuum sewers are being installed, Christchurch director of Council Facilities and Infrastructure David Adamson said. The resilience that these add are related to the shallowness of the infrastructure along with the need not to have pipelines on grade. Provided rupture does not occur, he said, it is now envisaged that this infrastructure will be up and running smoothly immediately following any major earth movement. That leads to a final lesson – that of designing buildings not just for the safety of occupants during earthquakes or other natural disasters but also with regard to post-earthquake recovery. In this respect, a lot of innovation is taking place, Ewart said. Cross members and reinforcing sections are now being designed in such a way that they are affixed to moveable concrete rafts which can allow the building to flex during earthquakes and then quickly re-level using levelling bolts. This means the building is designed not only to protect the safety of occupants during a quake but also to be quickly re-levelled after the event. Beyond building and engineering, Ewart said there are important lessons learned with regard to broader leadership issues during the rebuild. First, it was important not to lose sight of the people and business systems affected, with the business community being given appropriate levels of support and with assistance given toward residents being targeted at helping them gain as much continuity with their regular and everyday lives as possible. In this regard, a program of temporary wage support for small enterprises who were unable to access their premises was particularly useful as it allowed for the small business community to continue to maintain their workforce and for residents to maintain their employment positions and thus their income throughout the period of disruption. This helped prevent an exodus of population where residents were forced to leave the City in order to seek employment opportunities. It was also important not to underestimate the physiological and emotional impact of natural disaster upon people’s lives. In the case of Christchurch, while early days after the earthquake saw people bond together, Ewart said, the upheaval it has created has taken its toll over time and in some cases has led to alcohol addiction, family violence and/or family breakdown. Along with the need for the effective provision of emotional support services, Ewart said it is important for those involved in the physical rebuild process to appreciate the extent of the pressures being faced by those with whom they deal, and the need for ‘tolerance’ in the system when dealing with those people. In this regard, he is particularly disappointed about the problems some residents experienced regarding their insurance, adding that some insurers could have placed less emphasis upon technical terms of the contract (though these are important) and more upon the bigger picture of the well-being of their clients. Finally, there is the importance of partnership and mutual respect amongst various parties and bodies of government. One aspect regarding Christchurch which could have been managed better, Ewart said, revolves around the relationship between central and local government, with the local authority obviously appreciating the national money coming in but feeling some sense of ambivalence about the idea of national government ‘interference’ in the rebuild. He said both parties had much to contribute, and had had to learn to respect the contribution each brought to the table. Overall, Ewart feels the rebuild as a whole has generally been successful, and that criticisms of the project’s speed are unwarranted. “There is a narrative which says that the rebuild of the central city has been slow and taken too long,” he said. “(But,) today, 80 per cent of the footprint of the city has got a building being built on it or a plan for a building to be built on it. The businesses are coming back into town. “We didn’t finish the demolitions in town until the middle of 2012. You look at it and that’s about three years ago, and it takes about three years from a clear site to design and build some of these big structures. So when did Australia take over New Zealand?? There is some fascinating construction work using research from the University of Canterbury which developed a post-tensioned timber system for low to medium rise buildings. The lightweight nature of timber and its inherent flexibility performs really well in earthquakes and the post-tensioning keeps pulling the whole building back to vertical such that only a few replaceable components need be replaced after an earthquake.